THE Federal University Of Agriculture, Makurdi (fuam) management board, has just released the FUAM post UTME for 2019! 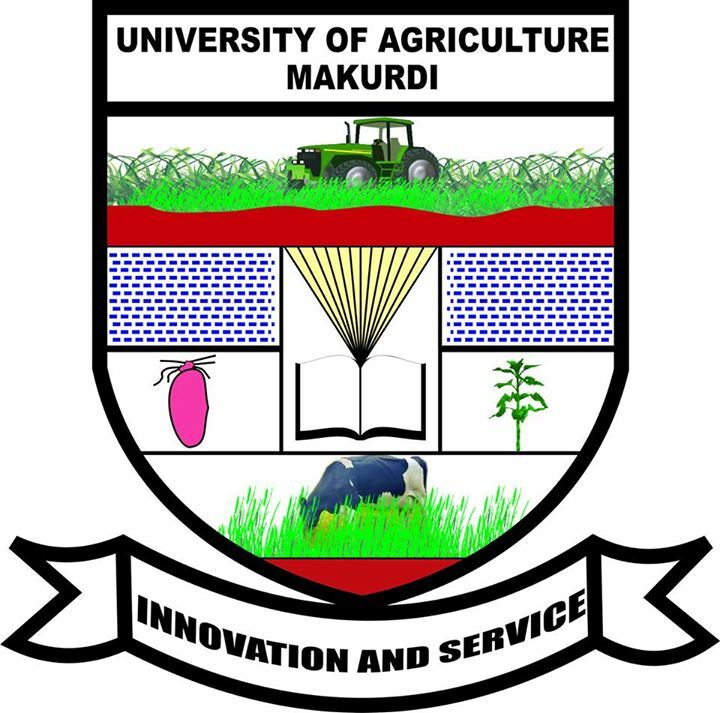 Here is the official guidelines and procedures for all candidates who wishes to enroll and be admitted to study in the Federal University Of Agriculture, Makurdi (fuam). In this article, i address the following. which is the essentials for admission into fuam for 2019. Using this platform, the Dailyschoolnews Nigeria™ wishes to inform and notify all members of the general public, especially all applicants who are seeking admission into University of Agriculture, Makurdi, that the school management, is inviting all eligible candidates to register on-line for the 2019/20 academic session admission. All eager candidates should note that the application must be from candidates who are suitably qualified and have sat for the Joint Admission and Matriculation Board (JAMB) and have chosen University of Agriculture, Makurdi as their preferred academic institution while filling the jamb registration form. ALL candidates should please take note, that for you to be qualified, you are required to sit for 2019 Unified Tertiary Matriculation Examination (UTME) with correct subject combination. To be qualified, you are required to have scored a minimum of 180 marks in the examination to take the FUAM Post-UTME Screening exercise. All interested candidates are expected and required to pay a non-refundable fee of N2,000 (Two thousand Naira) for the fuam Post-UTME. Then pay Five hundred Naira (N500) only for service charge. This will be a total of: N2,500 (Two Thousand Five Hundred Naira) only. Please take note, that after you must have made a successful payment, the applicant will be given a University of Agriculture, Makurdi POST-UTME Payment Slip from the Bank. This list will containing applicant’s JAMB Number and Payment pin. Please take note that this payment slip details are important, because you will use it to login to the school website, using the below guides. While the password is: Payment Pin. ALL candidates and applicants are expected to register online through the school official portal, for the FUAM POST UTME using the Payment Voucher information, by filling the POST UTME Registration Form which is made available on the University official website at: www.uam.edu.ng (follow the guidelines on the website). To make your application successful, we advice all applicants and it’s A MUST, that they are expected to provide correct information about their candidature on the University portal and make a printout of the form filled online from the University portal. of your Post-UTME screening test, and this information is personalized to you. Internet Banking: All applicants are required to visit the University website and follow the instruction which is provided on the school portal to make a successful payment on the portal using your bank ATM card. Your details are confidential and won’t be stored by the school portal. Skye Bank Plc to pay the fees. There is a video and text instructions/guidelines on how to make payment using the three options on the school portal. Bring along with you, the printout of the Online Registration Form, which you filled and printout from the University website. Bring a coloured printout of your original JAMB result slip. Take note that the coloured result slip will contains your passport photograph on it. ¹ FUAM is upgrading with the world in terms of technology, and just like the JAMB CBT test, all applicants should note that the post utme screening test is Computer-Based Testing (CBT). Bank Payment Slip will . 4. Please take note that the Bank draft and Cash payment will not be accepted. If you have any problem with your registration, you can contact the school through the email address below.